Starting with my overall experience in Ghana, I can say that I had an absolutely great one throughout the entire period of my stay. Although I have been to India, Southeast Asia, and China before and was thus used to adapting to different cultures, this was still different for me since I have never been to Africa before. However, the genuine friendliness and kindness of all the people I have met here have extremely facilitated the adaptation to my new environment so that I truly considered Ghana as my new home after a few days already. Another factor helping in this regard were also my two great roommates whom I was sharing a room. During the first walks through the neighborhood around Grandma’s place as well as the area around the office at Cold Store, I was still a bit overwhelmed by all the noise, chaos, the smells etc. But I was surprised by myself how fast I got used to all that and how I started enjoying the liveliness everywhere. It was very impressive for me to see how happy some people still seem despite the simple conditions they are living in. Similarly, it was moving to see the strong bonds that exist among the people living in one area; everybody seems to know everybody, people help each other out, and share their concerns as well as their happiness. Such a strong sense of community can definitely not be found in my home country, Germany. As I mentioned above already, I have found the saying that Ghanaian people are considered to be among the friendliest in Africa (which I have read from several sources before coming to Ghana) to be true. It is incredible how many people try to help, for example, in the tro- tro’s – and not only people who are proficient in English, no, also very simple people who just try to give support, and who prove that sign language and simple smiles can be an effective means of communication as a shared common language. Of course not all the things I saw here were beautiful; especially during the first few days. I was a bit shocked to see in which poor conditions some people, here are living. Although I was obviously aware of that already before coming to Ghana, it is still different to see it in reality. Of course observing those huge differences to the developed world I am coming from raises all those questions of justice, of ‘why?’ etc., and I haven’t found an answer to them. Although it was not my first time in a developing country as mentioned above, and although I have of course been realizing all those things at home in Germany as well (where I always am consciously grateful for everything I have), sometimes it is relatively easy to forget about it while being busy with our own stuff at home. Therefore, I am really grateful for this experience that just opened my eyes once again, and made me aware of the fact how privileged people in Europe are. I don’t want to say with that we should look at the people in Ghana just with compassion – because as I have seen here, the people here have their pride, they work extremely hard, and there are still a lot of things that we westerners can learn from them: being happy with simple things, the values of family, friends, and mutual support, etc. 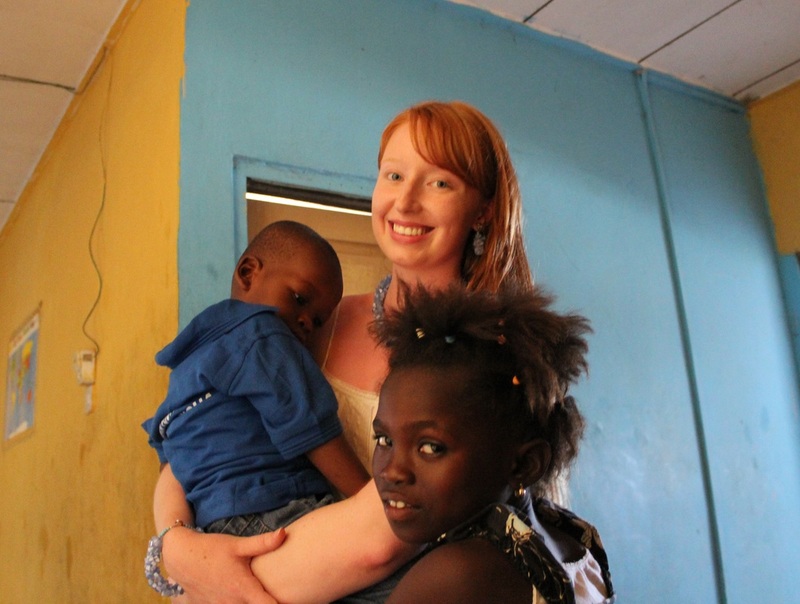 My experience in Ghana opened the doors into a completely different world for me. It made me think about a lot of things; it made me view many things differently, and it also showed me that I am able to adapt quickly to foreign environments. It was thus an absolutely enriching stay in every aspect. Overall, my experience with HAF was very positive, and just confirmed the good impression I had got of the organization already before arriving here. Whilst the support before my arrival was very extensive and the communication was always both informative and prompt, this continued after my arrival. Michael and Bismarck our program coordinator took great care of us. They were a great help on our weekend trips, which would have been much harder to organize without them. Overall, I felt always very, very safe and supported here, which of course also greatly helped me adapt and feel like at home. The microfinance program I was volunteering for was an incredibly enriching experience for me. Especially given my business background, it was very interesting to see how small businesses here operate, which kind of difficulties they face etc. The first great experience in this regard was my first day of work when we walked through the streets around the HAF office, thereby presenting the microfinance program to the women. This really allowed me to see in which conditions they are working, and gave me a rough idea of the way of functioning of business here in Ghana. It then continued with the interviews we were conducting with people in order to find out more about their businesses and in order to create a basis for the following selection of the first receivers of the loans. A big big thanks to HAF who have offered me the opportunity to experience life in Ghana, to immerse myself in a completely different culture, to challenge myself every day, to learn so many things from the locals' way of living, and to work on an interesting project! I had an absolutely amazing time and due to the extraordinary, genuine kindness of all the Ghanaians I met I felt truly at home. At the same time, I got extremely interesting insights in the way of functioning of microfinance, my project area. HAF has always been extremely helpful and has provided great support whenever needed, wherefore I can highly recommend the organization to everyone who wants to step out of his / her comfort zone, to explore an exciting country in Africa with very nice people, and to make an impact! Stepping off the plane into the sweltering Ghanaian heat in early September, I had no idea what awaited me. I didn’t know that, three months later, I would be able to understand Twi, that I would have taught my own second grade class and become the school nurse at the young age of seventeen, or that I would have grown to love my Ghanaian family so much that I would weep when I left them. I didn’t know that, in the space of a few short weeks, I would respond to “Ma”, nor did I know that nothing warms my heart more than having a child fall asleep in my arms. The only thing I was sure of was that I had stepped into a land, a culture, and an experience which would forever change my life; I was right. From my first day there, people have asked me how I find Ghana, and I have always replied that “there is nothing bad to say”. The culture is more beautiful, peaceful, and genuine, and the people more welcoming and kind than any other place I’ve ever been. Coming from a metropolitan area of America, it was a relief to see people living life for the right reasons, passing over the materialistic and monetary concerns many people become so involved with that they begin to lose sight of what is real, and instead living for what is truly important: family, friendship, and happiness. It is as though life there has been put through a sieve and all the bad aspects have been caught, leaving behind only what is pure: respect, caring, and love. It touched me. I lived every day there in complete, and almost disbelieving, contentment. Although magical, my time in Teshie was not without challenge, yet nor was I ever without helping hands to guide me down the right path. More than anything, those moments enabled me to grow and discover who I am and what I truly care about. I learned to be a teacher and a mother. I learned to be a big sister. I learned to be a symbol of comfort and safety to children who could find those things nowhere else. Ghana enchanted me and I let it change who I am and amplify who I was. When I left in early December, I said that I was going home, yet I couldn’t help feeling that I was really leaving my home behind. It is a place where I have loved, and learned, and cried, explored, discovered, and been forever altered by its touch. It is a place I refuse to say goodbye to, and one to which I will always return. Because of my time there, I am finally awake. Awake to the world, its intricacies, and their subtle beauty. Awake to who I am. Awake and acknowledging of how fortunate I have been and how much those around me deserve my help and caring. Awake to the fact those human similarities are a much stronger bond than cultural differences are a division. Most of all, I am awake to the truth that individuals can make a difference. True, I did not change the world, but for the children I nurtured, and for myself, the world has changed forever. I would recommend, and have already recommended, HAF to anyone who is new to volunteering, wants to see the world and make a difference, yet also desires freedom within that experience. The cost, of course, is another factor which would cause me to highly recommend HAF. Coming from a low-income family, the large price tag on the majority of international volunteering programs was a major concern for me, and what had prevented me from exploring opportunities abroad in the past. HAF presented a very reasonable cost, which allowed me to stay in Ghana for much longer than I had anticipated. The staff, namely Emmanuel and Michael, made the entire process very personal -- something my mother and I both appreciated. It was a relief to find an organization that you could really trust and get to know; there was no waiting on hold, receiving automated emails, and all the other things usually associated with companies like this. Instead, every question I, or my family, asked was treated with the utmost care and was addressed personally through emails or telephone calls. This allowed my mother, especially, to feel very at ease, and led us both to completely trust the program -- something it is not easy to do when you, or your only daughter, are/is going to live by yourself/themself in a foreign country for the first time. 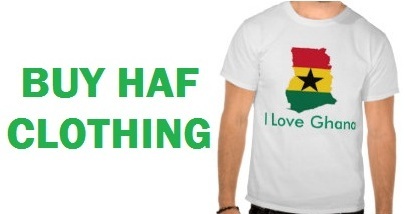 More than anything however, I appreciated the freedom I was given by HAF once in Ghana. There was never a moment in which I felt unsafe or as though I had no one to turn to, yet I was simultaneously allowed to create my own Ghanaian experience, rather than having one dictated to me. I feel that this enabled me to truly become a part of the community, immerse myself in the culture, and create strong and lasting relationships with the people I met, rather than remaining as an outsider during the length of my stay. Volunteering in Ghana with the HAF organization was the best experience of my life. I loved working with children and it has always been a dream of mine to volunteer abroad. This was my first time traveling abroad especially to Africa so I was a little hesitant and didn't know what to expect. I researched many organizations online and Humanitarian Aid Foundation was the best on my list. They provided detailed information via email was professional, prompt and guaranteed my safety and wellbeing. During my 4 week stay I worked at the local school in Accra. I thought in a class of 20 pupils as an English, Mathematics and General studies teacher and loved every bit of my day. I fell in love with the children and learned so much from them and felt that I was really making an impact. We had lot of fun during their breaks organizing group games and learning some local Ghanaian song. It is extremely satisfying when students understand and apply the concepts taught in class. This indeed was a life changing and eye opening experience for me. The accommodation was nice, decent and homey. My host family was very hospitable, welcoming and always supportive. They treated me like a family and I felt very comfortable and at home from home. The HAF coordinator Michael was very supportive; encouraging and made sure I had everything I needed in a timely manner. HAF is incredible. They are a strong dedicated group working for a good cause. I highly recommend volunteering with HAF to volunteer especially to first timers travelling solo and looking for a truly amazing and incredible experience abroad. My profession as an English Language Teacher Trainer – takes me around the world. During my latest assignment in Belarus, I developed a strong feeling to volunteer in Africa, working with children. For a reason I can’t explain, I was drawn to Ghana despite having never been there. On the internet I found a clearinghouse for volunteer organizations called World Wide Helpers. After communicating with a few volunteer foundations in Ghana which I located through World Wide Helpers, I settled on the Humanitarian Aid Foundation. This foundation impressed me because of its director’s prompt communication, clearly informing me of what was expected and arranging all details for my three week assignment. Arriving in Accra, Ghana, I was met by Michael the local coordinator for Humanitarian Aid Foundation, who made certain I was settled in comfortably at my home stay on the first night. Michael then met me the next morning, taking me to the Orphanage. We used public transportation as native Ghanaians do. He continued to do this for several days until I felt comfortable traveling to the orphanage on my own. At the orphanage, I walked into an ongoing pre-kindergarten classroom. I can’t convey the joy and surprise as ten beautiful little children all ran to me, hugging my legs and shouting, ‘Good morning!”. Believe me, this experience will melt any heart! The orphanage runs an adjoining school where children from roughly 4 – 16 years of age attend daily classes covering the fundamental subjects. The children in all classes I attended are eager to learn and well disciplined. After classes, the children gather in the courtyard of the orphanage’s housing. There, they play ball, use the jungle gym, work on their homework with the volunteers or just relax. It’s a cliché to state that an experience like this changes one’s life. But that’s exactly what it did for me. The children at the orphanage may not have access to all the technology and gadgets that children in the developed world take for granted; however, what I saw and experienced were children who were well disciplined and respectful. They always returned whatever they used without having to be reminded, seldom cried, even when they fell down severely, were resourceful with what they had and finally, were eager to smile, hug and communicate. I will highly recommend to anyone who has the desire to share their knowledge, energy and love to volunteer with the Humanitarian Aid Foundation. They are a group of people who truly care about the welfare of Ghanaian children and their future contribution to Ghanaian society. I was a little nervous before my trip because of the uncertainty of not knowing anyone and going to a different country, but HAF assured me of the trip being safe, engaged and truly amazing experience. I can't believe I've been here for 5 weeks already; working at the local school with the children was the best part of my experience. They were very engaging and eager to learn. We had a lot of fun during their break, played different games and in the afternoon we did picture painting. I learnt some cool Ghanaian music, explored the city of Accra and on weekends I went to the beach. Ghanaians are the friendliest people I have ever met. Words cannot easily explain this amazing opportunity to explore the Ghanaian culture, environment and everyday life. I would highly recommend it to everyone. My experience in Ghana was a really great one. Being there for three weeks I feel like I can do whatever I want and go wherever I want with no fear. Michael my program coordinator had helped me a lot in this process, teaching me how to spend a normal day here in Ghana and let me see how people live their lives here. 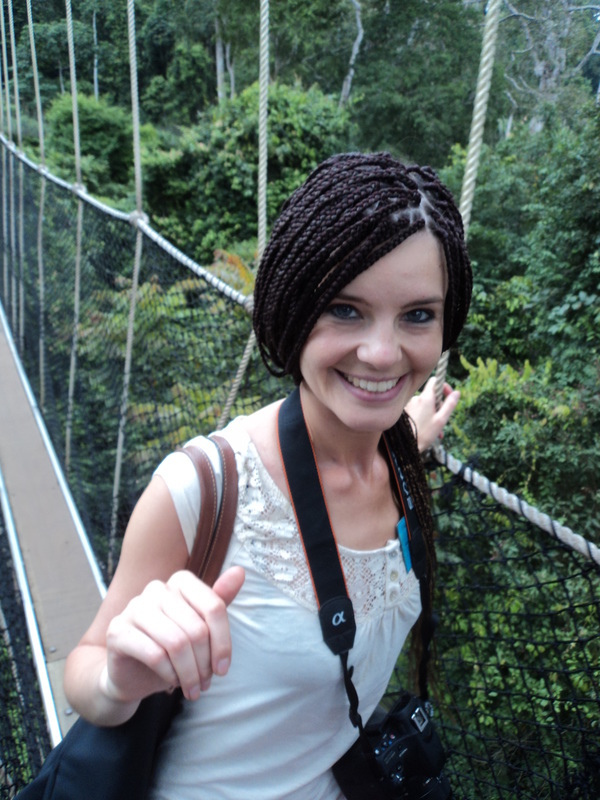 Ghana is an amazing country with a nice culture and the people are always friendly and gently. Is true that is really different of my own culture and society, but it's lovely to live your days like a Ghanaian person. The HAF staff always took care of me, got me a phone and an internet USB modem and making everything easier for me. Michael my coordinator was always there if I needed him. He called me always like twice in a day, in morning and at night to make sure everything was okay with me. At the orphanage I've lived one of the most beautiful experiences in my life. All the children were polite and lovely and the love to play with us, the volunteers. I loved to go to the school and see them learning and help them whenever I could. I've also learned some songs they sang and enjoyed with them and the teacher. Then, back to the orphanage, I loved to see them eat and share everything like a real family. I am sad I have to go home. 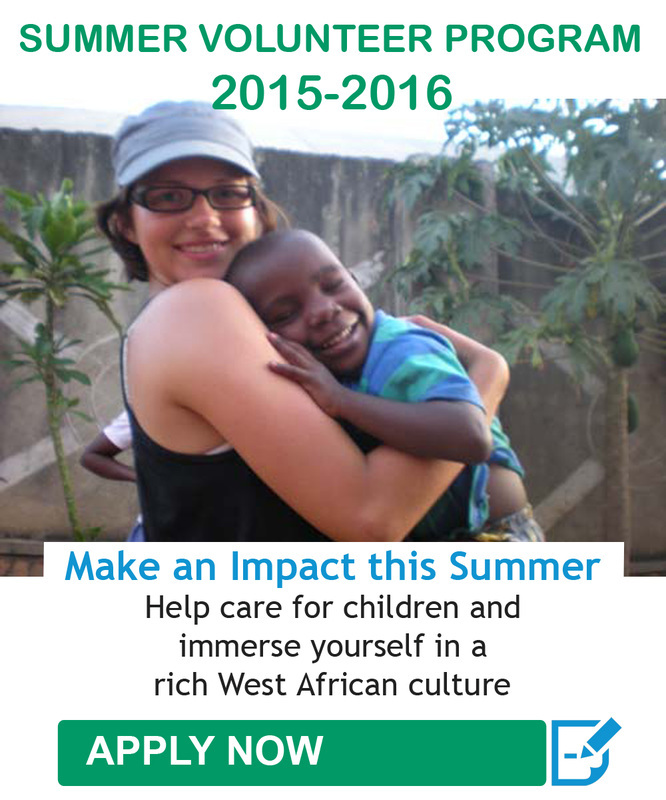 I met some people here, other volunteers, and with theme I lived more the Ghanaian experience. I've been out in the night or I've gone to the beach. That's how I've seen how hospitable Ghanaian people are, just because they treated us really nice and they took care of us. I really had an amazing three weeks with HAF in Ghana; I lived the Ghanaian experience and loved it. It is a great experience and I will highly recommend it to everybody. I have currently completed 4 weeks volunteering in Ghana and my experience was way beyond my expectations. From the moment I set foot in Accra, HAF took great care of me, from transport and accommodation, to food and support throughout my program duration. I worked at an orphanage and school teaching English and other subjects while caring and playing with the children. I loved teaching and being around children so volunteering at the orphanage was the perfect opportunity for me to put my experience and passion to work. Nothing compares to loving and teaching these kids. They made my day brighter with those big beautiful smiles in the early morning and throughout the day. The accommodation was nice, peaceful and safe. Our host family prepared two freshly cooked meals a day and was always so helpful. The hospitality was remarkable and I feel like a part of the family. My program coordinator was very supportive, caring and always there when I needed anything. HAF made my experience in Ghana worthwhile and I look forward to coming back. I will recommend volunteering with HAF to everyone. I had an amazing experience! At the hospital I had the opportunity to learn about the various health challenges facing communities in Ghana, and how doctors diagnose these illness. The nurses at the hospital were very kind and supportive. I learnt how to diagnose the malaria parasite and what safety precautions to take for early treatment. Doing hands-on work with the help of the clinic nurses gave me the opportunity to learn about the healthcare system and practice in a developing country as Ghana. Secondly the HAF team was very prompt if I had any questions, prior to my arrival in Ghana. I searched many internship programs and organizations online but HAF was on top of my desired list because they were very informative, had good reviews, supportive and advice me of what to expect. This experience was beyond my expectation. I wish that I had stayed longer than 3 weeks and that I had done more exploring while I was there. I look forward to coming back and engage in other programs to broaden my knowledge and learn more about Ghana. Thank you HAF for offering me this once in a life-time opportunity. Best experience of my life! Volunteering in Ghana with Humanitarian Aid Foundation was a magical experience words cannot describe. I loved every bit of my two weeks in Ghana, right from being picked up from the Kotoka Int., airport, my orientation and spending my days teaching at the local school. It was very different, from what I was used to. I loved teaching and spent most of my years after college teaching children in lower grade, but spending two weeks with the Ghanaian school children was the best experience of my life. I always learn something every day, either a song or poem and they also learnt a lot from us the volunteers. On the weekends, I spend my day at the Coco Beach in Nungua; I loved every bit of time spent in Ghana. My program coordinator Michael provided every possible support I could need. I felt safe, comfortable and part of a great cause. I will recommend volunteer with HAF to everyone. My placement at the local school was incredible. I spent most of my day teaching English and other subjects. The Ghanaian teaching curriculum was different, but had great support from the local teachers. Coming from a western world, I didn't know what to expect, it was my first trip to Africa and I felt a little overwhelmed, but was amazed the support and coordination I had from our program coordinator he did everything to ensure we had the best, most rewarding and engaging experience. The home-stay in Nungua was very clean, it was a shared room, with a lot of space, comfortable and felt homey. I learnt much about the local language “Ga and Twi”, most of the children on the street I met always called me “obroni” which means white man or woman in the local language. The food prepared by our host family was great, very different but delicious. I learned about the Trans-Atlantic slavery in Ghana when I visited the Cape Coast Castle and enjoyed beautiful scenery from the Kakum national park in cape coast. I'm sad I had to leave but look forward to returning soon. Ghana is a great country and HAF made my first time in Africa a truly amazing experience. During my trip to Ghana through HAF, I had a wonderful time and experience of my life time. I humbly extend a special thanks to Emmanuel for immersing me into the Ghanaian life and culture during my ten days trip. The Ghanaian people are very friendly and welcoming and that it is real extraordinary experience. All the children I meet in Bomponso village welcomed me with happiness, songs and dance when I arrived in their village. They gathered around me, face with light with smile and happiness. Seeing the children enjoy Christmas with much fun eating, drinking and dancing to some good Ghanaian music was a heartwarming experience for me. I love seeing the smile on their faces and am very pleased to be part of their lives. My Experience with HAF thought me how to adapt to a multi-cultural working environment, live with people of different culture and enjoy local food even though it was different than my usual Italian dish it was delicious and something new to try, I did really loved the food. There is a lot I have to share, but I will recommend everyone to try this humanitarian experience while immersing into the beautiful, hospitable and welcoming culture of the Ghanaian people. My experience in Ghana was beyond what I expected, I never felt so welcomed and involved. Working with the children at the orphanage was very engaging and lots of fun. I enjoyed teaching them at the school, help in feeding and playing puzzle games with them. I wish I could have stayed longer! I will miss all my students in the lower grade class. Volunteering with HAF was indeed a great experience, not only was they prompt answering all questions I had, they assured me of it being safe and truly amazing experience but I needed to put in the work. I had all the support I needed; my coordinator was very encouraging, fun and caring. It seriously made the experience so much more comfortable. I hope to come back one day and will strongly encourage others to volunteer through HAF, you will love it!